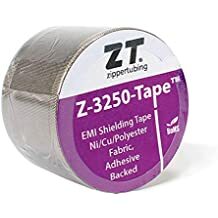 Als 5 - Moderate Temp 260c - Thermal Management - Materials - ZT | Zippertubing Co.
ALS-5 is a very thin (.006"), very flexible Aluminized fiberglass cloth heat barrier material intended for heat protection of small diameter wire and cable. 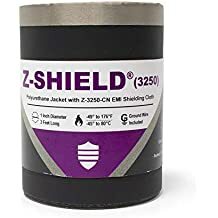 ALS-5 is typically combined with a high temperature Acrylic adhesive to create pre-closed, heat reflect sleeves for electrical wire diameters as small as 0.188". ALS-5 has good fluid resistance and flame retardant properties and has been shown to provide a Thermal Effectiveness value of 53+°C when tested per SAE J2302 requirements. ALS-5 is ideal for under hood small wire protection applications in the Automotive and Transportation marketplace. The material has an operational temperature range of -50° to 177°C.